Before attending The Black Hills Photo Shootout this year, Jim visited several national parks and monuments in the western states. 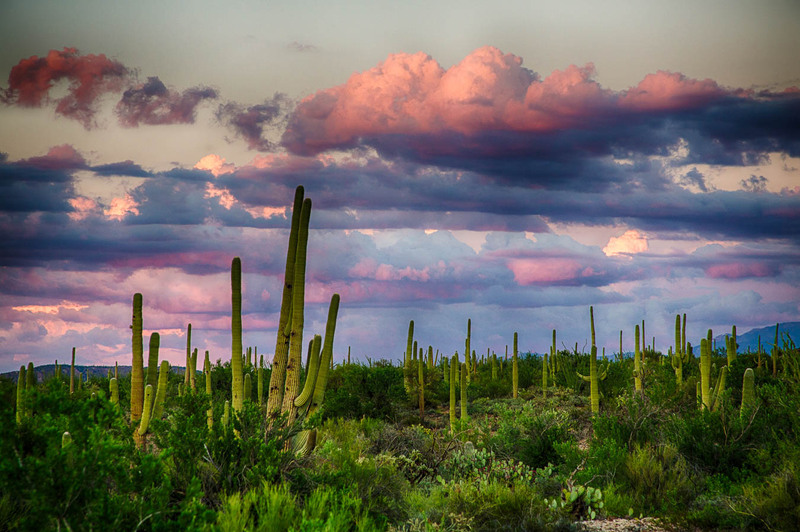 Jim is currently traveling in Cuba and so we present a look at Saguaro National Park in Tucson Arizona. In addition, Jim meets up and interviews Mike "Sparky" Pendergast who has appeared on the podcast several times in the past and has posted some amazing lightning images. Stay tuned for future podcasts for more national parks as well as photo travel to Cuba and reviews of exciting new products such as Alpine Labs Pulse, Rollocam, and more! Don't miss any future podcasts - subscribe via iTunes! Welcome to The Fotobug's 30th podcast! The long hot summer is finally here, so why not grab a cold drink, find a cool spot and enjoy the podcast? In the news, this episode, Jim and Fred discuss the black macaques in Indonesia that swipe a camera from nature photographer, David Slater and take some amazing family portraits! In addition, Fujifilm is returning to interchangable lens cameras, Ricoh buys Pentax from Hoya, Kenko-Tokina buys Cokin Filters, and more! Also, photographer Mike Oblinski captures amazing time-lapse video of the haboob (sandstorm) in Phoenix Arizona, so we invite Arizona storm photographer, Mike Pendergast (originally interviewed back in Episode 9), back on the show to discuss high ISO settings as well as to show off some of his latest lightning images. For the DIY (Do It Yourself) segment, Jim shows how to create an inexpensive 'L' bracket for a DSLR and mount it to an Arca-Swiss style plate to do better panorama style images. Total cost, under $40 which includes the arca-swiss plate! The 'L' bracket alone can be make for under $12. Compare to commercial versions that cost up to $180! Jim and Fred also answer a couple viewer questions: how can a law-enforcement agency work with US currency in Photoshop, and how much should a photograher charge a state park for a photo in their promotional brochure? Finally, inflight video footage from the Fotobug Skycam Tricopter is shown and upcoming photo workshops for 2012 are discussed. Come out and 'Like' our Facebook Fan page and share some of your favorite images! Also, don't forget to leave us feedback and please rate us on iTunes, Podbean, or your favorite podcast site! In additional discussions, should RAW images be converted to DNG? The guys also discuss hard drives for the iPad. Also, part 4 of the discussion of the "lost" Ansel Adams negatives and the law suit by the Adam's estate. Check website at www.ricknorsigian.com to see the images - decide for yourself! Remember to visit our Amazon Store from the menu over on the right as well as our discounts page! Every purchase you make helps keep the podcasts coming! Thanks for your patronage!